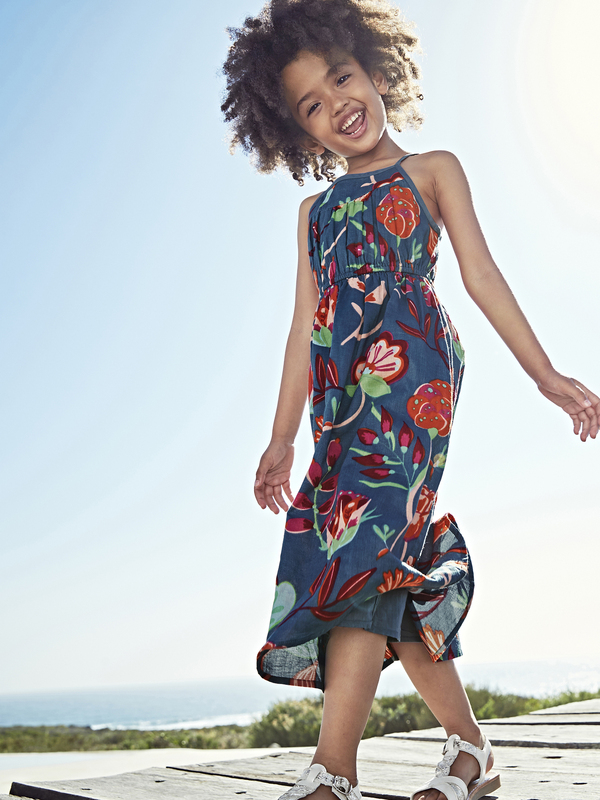 Light material, a lovely flower print, and soft gathers: this is a long dress that speaks of summer and is an invitation to celebrate! An exclusive print designed by our fashion stylists. Long dress for girls, in pure cotton voile.